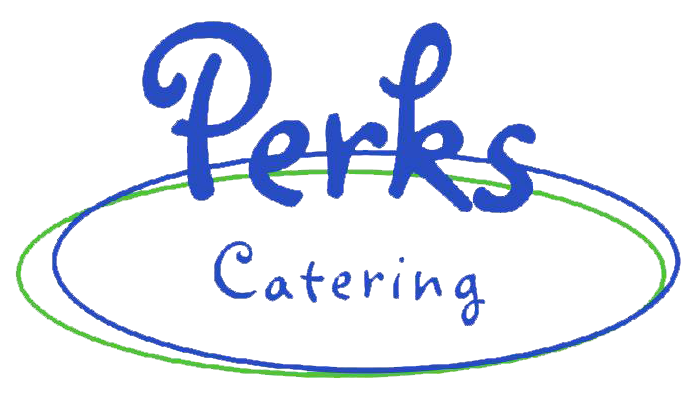 Perks Catering | Delicious Homemade Cuisine Brought Right to You! Freshly sliced smoked turkey breast, leaf lettuce, sliced tomato, purple onion, served on your choice of bread. Freshly sliced Black Forest Ham, Swiss, leaf lettuce, sliced tomato served on choice of bread. Fresh sliced seasoned roast beef, provolone, leaf lettuce, sliced tomato served on your choice of bread. Roasted all white meat chicken, toasted pecans, red seedless grapes, mixed with mayo & herb dressing served with green leaf lettuce & tomato served on your choice of bread. Albacore tuna lightly tossed with mayo & sweet relish served with green leafy lettuce & tomato served on your choice of bread. Our homemade spread is a blend of four cheese & diced pimentos seasoned to perfection served on your choice of bread. Crispy bacon, green leafy lettuce, fresh tomato served on your choice of bread. Choose from any or all fresh veggies available on your bread choice. Our fresh made egg salad served with green leafy lettuce served on your choice of bread. Oven roasted turkey, black olives, feta cheese, hearty green leaf lettuce wrapped in a tomato basil flour tortilla. Grilled chicken breast, cheddar cheese, hearty green leaf lettuce, and a fiery sriracha sauce wrapped in a spinach flour tortilla. Grilled chicken breast, Mexican blended cheese, fresh green leaf lettuce & tomato served on choice of wrap with southwestern dipping sauce. Grilled chicken breast, green leaf lettuce, tomato, provolone and pesto spread served on thin deli round. Mixed fresh greens, tomato, cucumber, carrots & bell peppers. Fresh crisp chopped romaine, shredded parmesan, homemade crouton, and grilled chicken. Mixed fresh greens, cucumbers, tomatoes, carrots, cheese, boiled egg, black forest ham, smoked turkey breast, seasoned roast beef. Mixed fresh greens, dried cranberries, mandarin oranges, toasted walnuts, roasted turkey breast. Mixed fresh greens, diced fresh apples, dried cranberries, bleu cheese crumbles. Sold Whole or By The Slice. Choose from our homemade and fresh baked selections of muffins, coffee cakes, breads, cakes, cookies & seasonal specialties. Substitute Available side for chips. Choice of Sides: Pasta Salad, Hummus and Veggies, and Fresh Fruit. Choose from our assorted sandwich & wrap selection, served with chips, pickle spear & cookie. Choose from our specialty sandwich selections, served with chips, pickle spear & cookie. Available as sandwich, wrap or as a scoop on garden salad with flatbread crackers. Seasonal Herb roasted vegetables with Feta Cheese. Hearty Green Leaf Lettuce, Cucumber, Carrots, Bell Peppers, Provolone Cheese. Tender Grilled eggplant with a balsamic glaze, swiss cheese and our house made bruschetta. Assorted sandwiches & bread served with chips & pickle spears. Assorted wraps served with chips & pickle spears. Served with crackers and/or cornbread muffins. $4.50 per person with Dip.